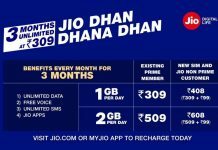 In another related post about Reliance Jio, we covered news about Jio Preview offer on iPhone with 3 months unlimited data and calls. The Jio users have experienced great speeds outdoors but when it comes to indoors, speed drops considerably. And now, plans are already on to speed up indoor data. By the time it’s ready for commercial launch, the speed issue is expected to get fixed. Reliance has now revealed plans and preview offer for Reliance Jio JioLink Indoor Wi-Fi. This comes with a 90-day offer. 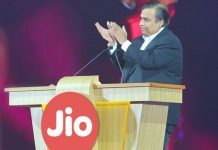 When it first launched in December 2015, Jio services were available only to employees. Later, it was made available to the public. 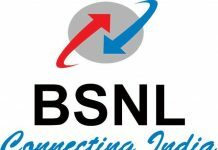 Set for a commercial launch on 15 August, Reliance Jio’s 4G services has garnered a lot of attention. Reliance recently announced that to the list of Reliance Lyf brand smartphone, Samsung, and Apple iPhone users will also be added. Earlier, to get the JIO Sim, users had to purchase the Lyf smartphone. Along with Jio 4G services, Reliance has launched JioFI portable Wi-Fi routers. You can use these Wi-Fi routers indoors where coverage is low. An indoor Wi-Fi router called JioLink will be launched soon. It’ll offer seamless connectivity with its unidirectional antenna. As of now, indoor speeds aren’t that great but JioLink is expected to boost speeds up. 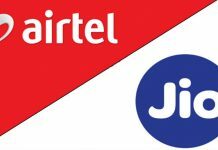 If you are using Jio 4G Sim already, the JioLink will act as a signal booster. Costing about INR 2500, this is quite affordable. The JioLink is basically an outdoor customer premise equipment (CPE) and usually put on top of the terrace to connect to a high-speed network. It features an RJ45 port and is connected to the unidirectional antenna by means of a Cat5 / Cat6 cable. 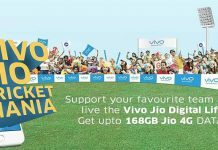 Reliance Jio is trying to tap the non-4G smartphone users with the launch of JioLink. To attract more customers, Jio will bundle the solution with unlimited data and access to all Jio applications for 90 days. 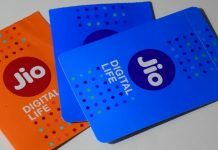 So that’s what the Reliance Jio 4G ‘JioLink’ Indoor WiFi Preview is all about! For those who are not aware, Reliance has announced a price cut on Lyf smartphones – the Lyf Flame 1, Wind 5, and Water 7.